Paola is an enthusiastic social scientist who is currently a research fellow at the University of Leeds, where she obtained her doctorate degree. She obtained a BSc in Business Administration in ITESM (Mexico) and second BSc in Economics in UNAM (Mexico). She also has a Diploma in Stock Finance (ITAM) and another one in Budget and Planning (UNAM). Paola’s work focuses on climate change resilience, adaptation and mitigation issues. Her PhD investigated to what extent SMEs in a developing context are able to face climate change. She assessed the vulnerability and resilience of this type of organisations by combining quantitative and qualitative techniques in two communities in Mexico. She explored theoretically how these two concepts are interlinked and examined on the ground ways in which adaptation processes can be moved forward. 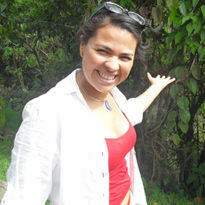 Since completing her PhD in April 2013, Paola has been involved in the ICAD project, lead by Prof. Suraje Dessai, doing a case study of the adaptation of the UK water sector to climate change, on the ways in which they are using climate information and how the institutional setting influence adaptation in practice. On the mitigation side, she is part of the Climate Smart Cities team, lead by Prof. Andy Gouldson, where she has worked on the economics of climate change in Lima, Peru. She developed the waste and transport models, conducted interviews, and MCA workshops with Peruvian experts. She has also expertise in assessing the economic costs of flooding. She did this with the 2015 Winter floods in the Calderdale Borough where she parnered with the Calderdale Council and a local NPO, Upper Calder Valley Renaissance. The results were used by the Calderdale Flooding Commission and the House of Commons Environmental Audit Committee. Paola has a wide experience in the private and public sector, having previously worked for the Mexican government and for private consulting companies. Paola has been a teaching fellow at the Faculty of Economics in the National Autonomous University of Mexico since 2004. She continues being a lecturer on Financial Mathematics. PhD – University of Leeds. Thesis: Assessing the vulnerability and resilience of SMEs to climate change. Supervisors: Prof. Andrew Gouldson, Dr. Emma Tompkins, and Dr. Louise Ellis. Graduate Diploma in Planning, Programming and Budgeting (UNAM). Paola’s interests include: climate change adaptation and mitigation, socio-economic resilience and resilience to climate change and the link with current vulnerability, SMEs and communities, flooding and risk management strategies, the water sector, low-carbon future options for cities, and sustainable development.